Kayla Hughes, Dr. Dave Garza, Shayna Garza, and Meghan Hannaway. 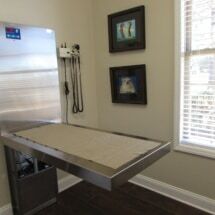 “Our family serving yours” is the motto of the Seven Lakes’ newest state of the art pet clinic. During April of this year, Dr. Dave Garza and his wife, Shayna, opened the doors of PineHills Veterinary Hospital. 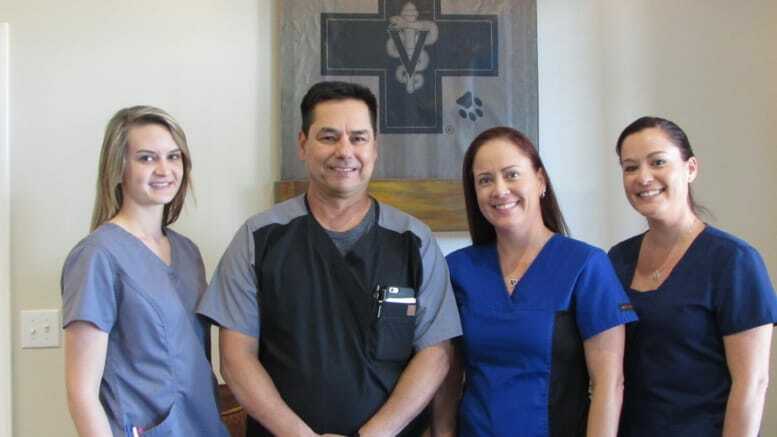 The Garzas operated their first veterinary clinic in Texas before selling it in 2009. 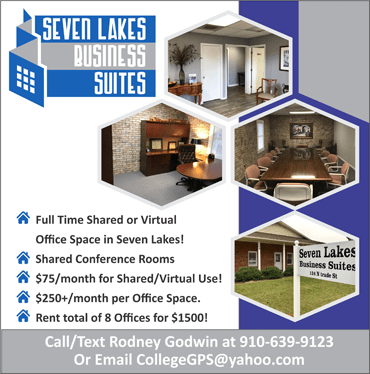 When they came to Seven Lakes in 2013, they knew they wanted to offer their services. 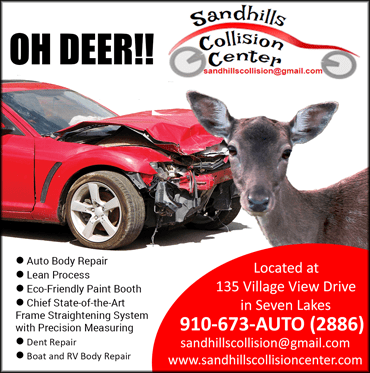 They began two and a half years ago with their own mobile practice called PineHills Mobile Veterinary Service. 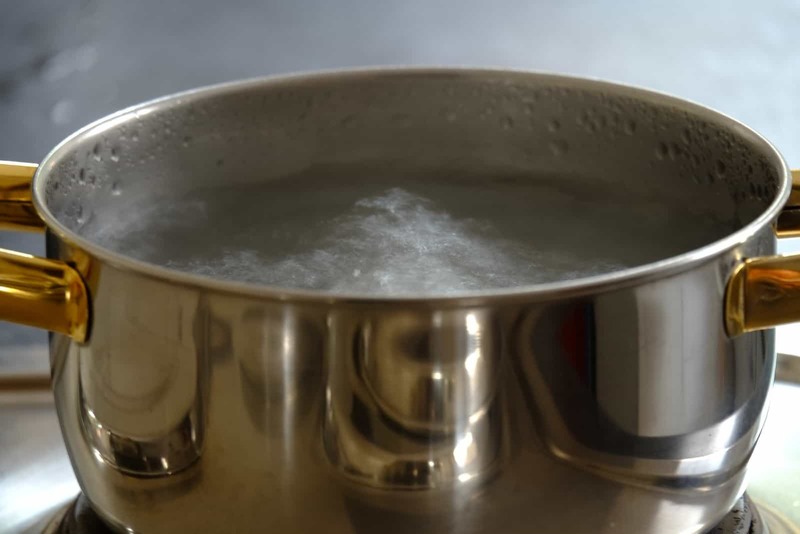 With this service, Dr. Garza was able to make house calls for horses, dogs, and cats in need of his services – which included providing euthanasia for pets in the comfort of their homes. As the mobile practice grew, Dr. Garza and Shayna realized there was a need for a higher level of diagnostics. 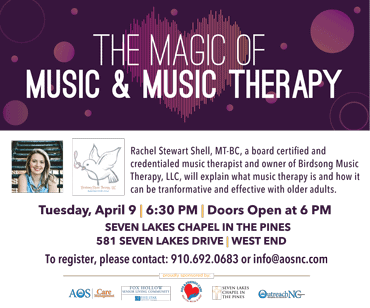 “There is only so much you can do in a home,” Shayna explained. 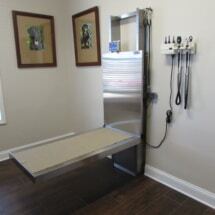 They invested in building up their new clinic, PineHills Veterinary Hospital, offering some of the latest veterinary technology. 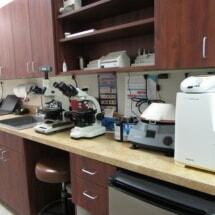 Dr. Garza is also able to perform surgery and dental work at the hospital. For an ultrasound, many patients are typically referred to a specialty hospital, but at PineHills Veterinary Hospital, an in-house ultrasound enables Dr. Garza to see a patient’s results almost instantly. Dr. Garza is also able to take X-ray images and put it on his laptop screen. With this technology, he is able to show clients their pets’ X-rays via the laptop for proper explanation. 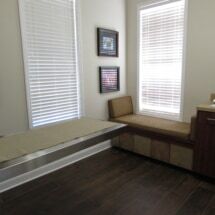 Although Dr. Garza and Shayna have owned a clinic before, this is the first time they started their own. 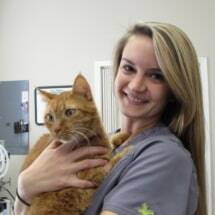 Shayna is currently the Practice Manager of PineHills Veterinary Hospital while Dr. Garza is the veterinarian. 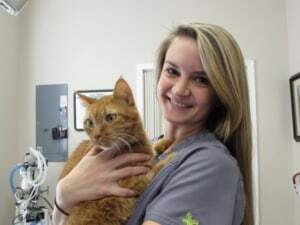 Also with them in the office are Office Manager Meghan Hannaway, Shayna’s sister who worked with them at the clinic in Texas, and Kayla Hughes, a registered Veterinary Technician with education of retraining techniques as well as handling blood work and diagnostics. Dr. Dave Garza and Kayla Hughes examining a furry friend. Although they have opened the hospital, the Garzas still offer mobile services to residents of Moore County. Mobile visits take place on Thursdays with the exception of euthanasia. 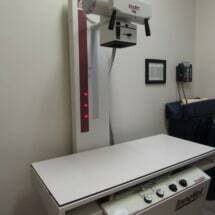 With this service, Dr. Garza and Hughes can take the mobile x-ray and ultrasound to run diagnostics away from the clinic. The ultrasound is used mainly for horses when examining the abdomen, the heart, or a mass. Dr. Garza works with several horses, including those at the Seven Lakes Stables. The Garzas’ passion to care for animals began for them each individually when they were children. “Ever since I was a kid it was something I wanted to do,” Shayna said. 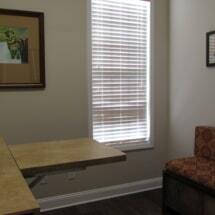 Despite all the clinic has to offer, the prices are comparable to that of other nearby clinics. Kayla Hughes with a patient. “We have set up higher-end diagnostics,” Dr. Garza said. 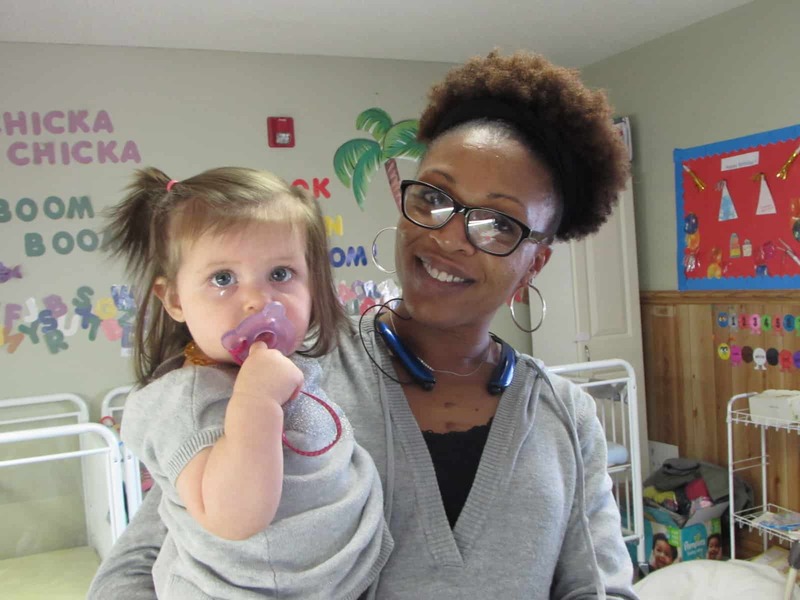 “We try to keep up with the latest training and medicines to stay current,” Shayna added. Even with all of the investments and technology, the Garzas aren’t stopping there. 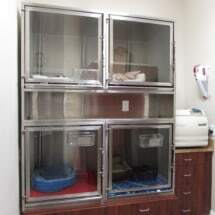 They are currently setting up a website for the clinic and hope to have it up early December at PineHillsVeterinary.com. 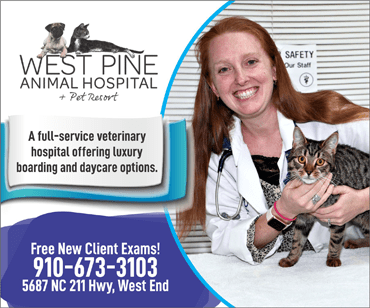 In addition to their veterinary services, PineHills Veterinary Hospital is currently in the process of creating a grooming facility which they hope to open in January 2017. They are currently accepting applications for a receptionist and a groomer for the grooming facility. To apply for either position, please send your résumé to PineHillsVet@yahoo.com. 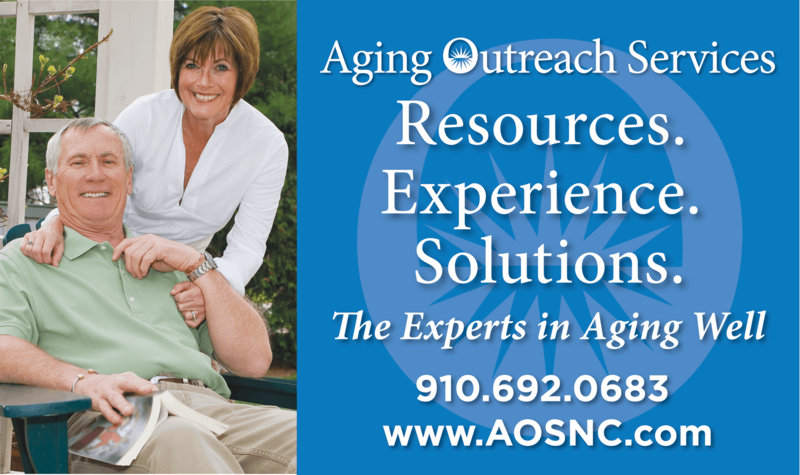 The clinic is open Monday – Friday from 8:00 am – 5:00 pm. However, they close on Thursdays from 12:00 pm – 1:00 pm for staff training and meetings. 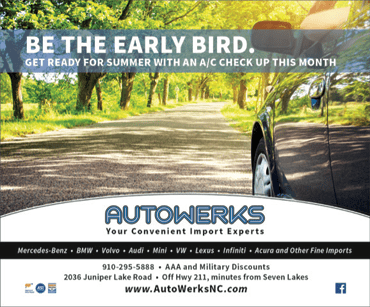 They are located at 125 West Plaze Drive, West End, NC 27376. 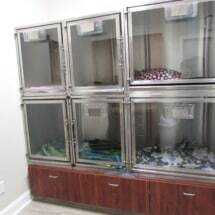 For more information about PineHills Veterinary Hospital, please call (910) 975-2405 or email PineHillsVet@yahoo.com. Arts and Nurses Should Stay! 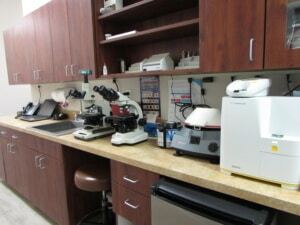 1 Comment on "Seven Lakes Has A New Veterinary Hospital"
Dr Garza and his staff are the best. So friendly and personable even in the worst of times. 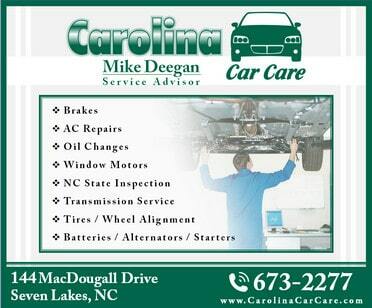 I am so thankful for their mobile service and was glad to see them finally have a brick and mortar facility.